This hat is full of detail from the intricate pattern, to the accent trim. 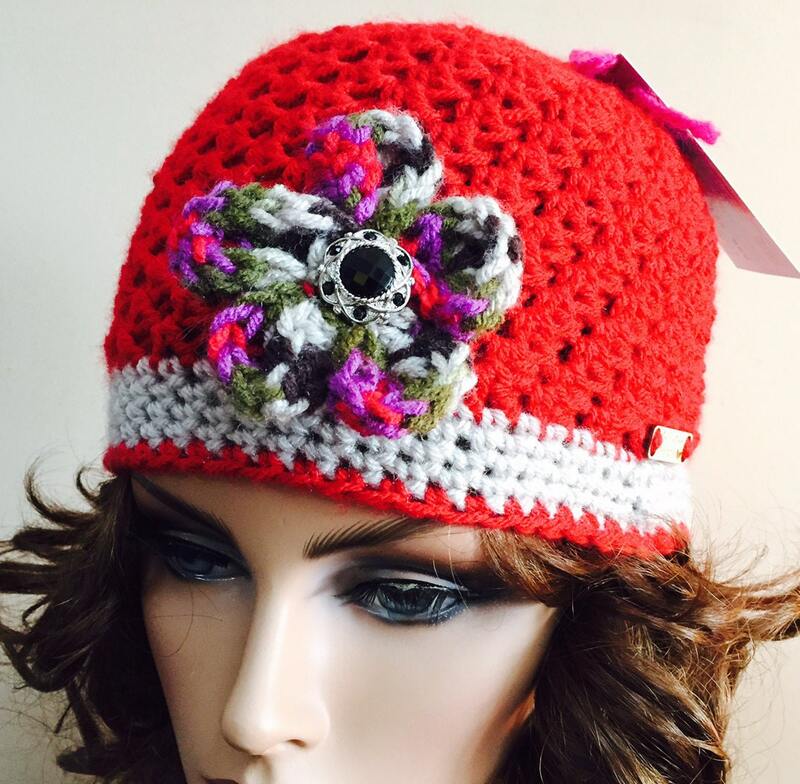 Adding extra appeal is the crocheted flower that is accented by a center bling button. Need fingerless mittens to match? Check out my other listings. I will be happy to combine shipping. Just convo me before you check out.